When writing your job application, your mind is full of formulations, important dates, and weighing up your skills and qualifications. 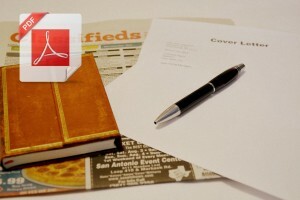 The format in which you should save your resume and cover letter is often a mere afterthought. This is wrong! If you send your resume in a format that may not only be difficult but maybe even impossible to open by the employer, your application will most probably wander into the trash bin unread. In rare cases, especially when applying for a job online, there are strict instructions and information about the file format an employer expects to receive your application in. The rule of thumb is, of course, to follow the directions and requirements by your future employer. 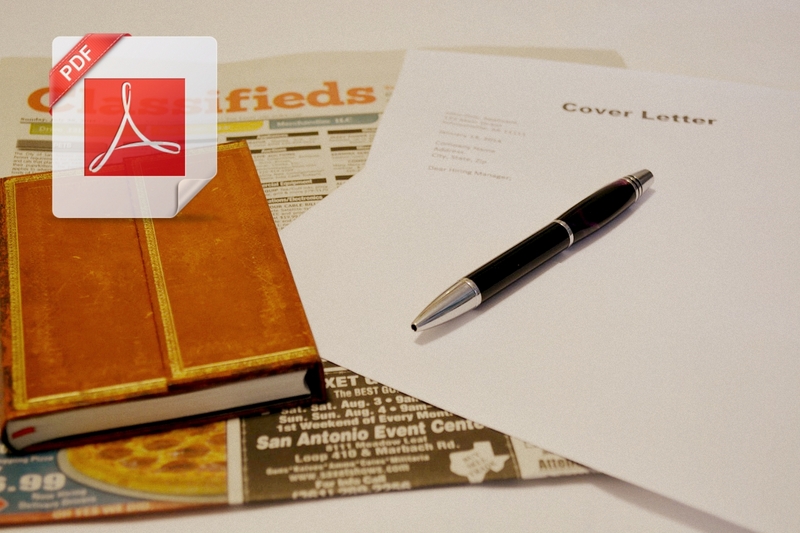 Most employers request a resume and cover letter in the PDF or Microsoft Word (DOC) format. However, some ATS’ (Applicant Tracking Systems) may not be compatible with PDF documents. Thus, following the instructions given in the respective job offer is vital. If a job offer is unmistakably asking for your resume to be hand in as a RTF, then do not hand it in in any other document file format! There is also a difference in how you are asked to submit your application that may determine the file format. Whether you are asked to upload your application, send it via email, or post it online can determine the file format you should use. In most cases in which you are asked to upload or post your resume, detailed instructions are given though. Follow them strictly! Otherwise, your resume will most likely not even be looked at because it either doesn’t meet the style requirements for the ATS or is simply impossible to open. Depending on the word processing software you use, the default format in which you save your documents is determined. The newer versions of Microsoft Word save documents in the DOCX format, while open source software like OpenOffice or LibreOffice use the equally open source format ODT. Sending your files in these formats can be highly problematic for your employers though! Most ATS do not handle DOCX documents very well, and the conversion of ODT files is often not good, messing with your formatting, style, and overall readability. So, instead of using one of these formats, saving your documents as DOC is highly advised – especially if you seek to edit them later on again. Documents with the DOC extension are manageable by older and newer versions of Microsoft Word as well as the open source alternatives. To save your document in the DOC format, you can either choose it from the list of file formats available in your word processing program of choice, or easily convert your existing documents using an online DOC converter. However, even when using Word’s DOC format, it is not guaranteed that there will be no complications. Not every Microsoft Word version accepts and opens DOC formats correctly, and there could be problems and errors while printing. Furthermore, the files are much bigger compared to other formats and could thus lead to problems regarding email attachment restrictions as well as the maximum file size for uploading. They are also regarded as security hazard by some systems since they can contain executable code within their coding. Unless you have specific requirements given in the job offer or by the employer, you should thus consider a versatile format that contains fixed formatting, is readable by most programs, systems, and computers, and supports a good transition for printing. The solution thus is: PDF. The document preserves the exact same formatting, no matter on which computer or device it is opened. PDF’s are perfectly supported by most printers, giving you the best possible outcome if you or your employer need to print your resume. The Adobe Acrobat Reader is a free program for download, and thus accessible by many to view your PDFs. However, there are other free programs that handle PDFs as well, making it the one format that can be opened across all kinds of operating systems and devices. You can create a PDF out of many different document files like DOC, DOCX, RTF, TXT, ODT, and more! One easy way to do it is to use an online PDF converter since converting will NOT alter or delete your original file. By choosing PDF as your go-to format to save and send or hand in your job application, you can (almost) not go wrong. However, the most important thing to keep in mind is to follow instructions if they are given. Now, all your application has to do is to win your potential new employer over with it’s content!